I’m super excited today to share with you about the skincare line I’ve been using for the past 9 months and love! 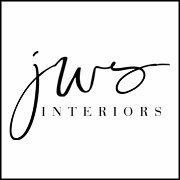 And, because I love it so much, JWS Interiors has teamed up with Beautycounter (and my Beautycounter specialist, Stephanie) to share my favorite healthy and effective skincare! Scroll down to check out my favorite products and a chance to win a skincare sample collection! What makes Beautycounter special? For starters–it works. I use the anti-aging line called The Rejuvenating Collection as my everyday routine which includes a day cream, night cream, radiance serum, and eye cream. In addition, I use the Beautycounter+ Plumping line to give my skin a little boost –includes mist, face oil and a mask. I’ve noticed clearer and more even toned skin (and honestly, it just feels good to slather on their creams, lotions, and masks). 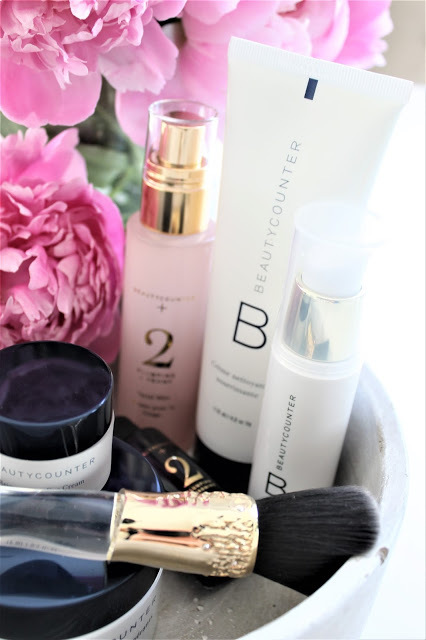 But more importantly, Beautycounter produces some of the safest products available today. They have the highest safety standards in the US market, which match and in some cases exceed the safety standards of the European Union. You can purchase the set or individual products–whichever best suits your needs. I know you will love! I have friends and clients who also use Beautycounter products and have nothing but good things to say about it. Click here to check out my favorite collection which is the anti-aging Rejuvenating collection. The entire collection of products–they also sell makeup–feels and looks good. Here are several other collections and items that you might love too! Looking for something safe for your kids? 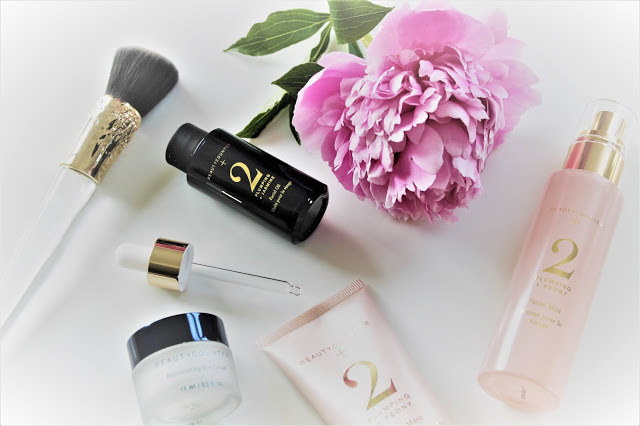 Click here to check out Beautycounter’s amazing sunscreen –free of harmful chemicals for children and adults — and also the face stick which is easy to apply. Not sure if it’s for you? Comment below (please leave your email address) for an opportunity to win a FREE sample collection kit ! Good way of describing, and pleasant post to get data regarding my presentation topic, which i am going to deliver in school. With havin so much content and articles do you ever run into any problems of plagorism or copyright infringement? My site has a lot of completely unique content I’ve either written myself or outsourced but it seems a lot of it is popping it up all over the web without my authorization. Do you know any solutions to help reduce content from being ripped off? I’d genuinely appreciate it. Wow, marvelous blog structure! How long have you ever been blogging for? you make running a blog look easy. The whole glance of your web site is excellent, let alone the content! Hello there! I know this is kinda off topic nevertheless I’d figured I’d ask. Would you be interested in trading links or maybe guest authoring a blog post or vice-versa? My blog covers a lot of the same subjects as yours and I think we could greatly benefit from each other. If you’re interested feel free to send me an e-mail. I look forward to hearing from you! Awesome blog by the way! I want to convey my admiration for your generosity giving support to visitors who must have guidance on this one concern. Your very own dedication to passing the message across came to be particularly functional and have surely empowered ladies like me to achieve their desired goals. Your own valuable facts implies so much to me and additionally to my peers. Thanks a ton; from each one of us. It is in point of fact a nice and useful piece of info. I am glad that you shared this helpful info with us. Please keep us up to date like this. Thanks for sharing. This web page is really a stroll-via for the entire info you wanted about this and didn’t know who to ask. Glimpse right here, and you’ll undoubtedly discover it. Do you mind if I quote a few of your articles as long as I provide credit and sources back to your site? My blog is in the exact same area of interest as yours and my users would definitely benefit from a lot of the information you present here. Please let me know if this okay with you. Thanks! Thanks a bunch for sharing this with all of us you actually recognise what you’re speaking about! Bookmarked. Please additionally discuss with my site =). We can have a link alternate agreement between us! I do consider all of the concepts you have introduced in your post. They are very convincing and will certainly work. Still, the posts are too quick for newbies. May you please lengthen them a bit from subsequent time? Thank you for the post. Hmm it looks like your site ate my first comment (it was super long) so I guess I’ll just sum it up what I wrote and say, I’m thoroughly enjoying your blog. I as well am an aspiring blog writer but I’m still new to everything. Do you have any suggestions for rookie blog writers? I’d definitely appreciate it. It’s a pity you don’t have a donate button! I’d definitely donate to this brilliant blog! I suppose for now i’ll settle for bookmarking and adding your RSS feed to my Google account. I look forward to brand new updates and will share this blog with my Facebook group. Chat soon! Greetings from Los angeles! I’m bored to death at work so I decided to browse your website on my iphone during lunch break. I love the info you provide here and can’t wait to take a look when I get home. I’m shocked at how fast your blog loaded on my phone .. I’m not even using WIFI, just 3G .. Anyways, wonderful blog! After I originally commented I clicked the -Notify me when new comments are added- checkbox and now every time a remark is added I get 4 emails with the identical comment. Is there any manner you may remove me from that service? Thanks! I was very happy to find this internet-site.I wanted to thanks for your time for this excellent learn!! I undoubtedly enjoying each little little bit of it and I’ve you bookmarked to check out new stuff you blog post. I do not even know how I ended up right here, but I believed this submit used to be good. I don’t recognise who you are however definitely you are going to a famous blogger if you happen to are not already 😉 Cheers! Valuable info. Fortunate me I found your site by accident, and I’m surprised why this accident did not happened earlier! I bookmarked it. I have been exploring for a little bit for any high-quality articles or blog posts on this kind of area . Exploring in Yahoo I at last stumbled upon this website. Reading this info So i’m happy to convey that I have a very good uncanny feeling I discovered just what I needed. I most certainly will make sure to don’t forget this site and give it a look regularly. Have you ever considered about adding a little bit more than just your articles? I mean, what you say is fundamental and everything. Nevertheless just imagine if you added some great photos or videos to give your posts more, “pop”! Your content is excellent but with pics and clips, this website could certainly be one of the greatest in its niche. Excellent blog! The following time I learn a weblog, I hope that it doesnt disappoint me as much as this one. I imply, I know it was my choice to read, but I truly thought youd have something attention-grabbing to say. All I hear is a bunch of whining about one thing that you can fix when you werent too busy looking for attention. Hiya! I know this is kinda off topic however , I’d figured I’d ask. Would you be interested in trading links or maybe guest writing a blog post or vice-versa? My site discusses a lot of the same topics as yours and I believe we could greatly benefit from each other. If you happen to be interested feel free to send me an e-mail. I look forward to hearing from you! Fantastic blog by the way! hello there and thanks for your information – I have certainly picked up something new from proper here. I did alternatively expertise several technical points the use of this web site, as I experienced to reload the website many occasions previous to I may get it to load correctly. I have been thinking about if your hosting is OK? Not that I am complaining, but slow loading circumstances instances will very frequently impact your placement in google and could damage your high quality ranking if advertising and ***********|advertising|advertising|advertising and *********** with Adwords. Anyway I am adding this RSS to my e-mail and can look out for much more of your respective exciting content. Ensure that you update this again soon.. Virtually all of what you claim happens to be astonishingly accurate and it makes me ponder why I hadn’t looked at this with this light before. Your piece really did switch the light on for me as far as this topic goes. Nonetheless there is actually 1 factor I am not necessarily too comfortable with and while I try to reconcile that with the central idea of your position, let me observe exactly what all the rest of your readers have to point out.Very well done. Hi, i read your blog from time to time and i own a similar one and i was just wondering if you get a lot of spam remarks? If so how do you reduce it, any plugin or anything you can recommend? I get so much lately it’s driving me crazy so any help is very much appreciated. Good day! This is my first comment here so I just wanted to give a quick shout out and say I truly enjoy reading your blog posts. Can you recommend any other blogs/websites/forums that cover the same subjects? Thanks for your time! Almost all of the things you articulate is supprisingly precise and that makes me ponder the reason why I had not looked at this with this light before. This particular piece truly did turn the light on for me as far as this subject goes. Nonetheless there is actually one factor I am not really too comfy with so whilst I make an effort to reconcile that with the actual central theme of your position, allow me see exactly what all the rest of your readers have to point out.Very well done. I’m really loving the theme/design of your website. Do you ever run into any internet browser compatibility issues? A couple of my blog visitors have complained about my website not working correctly in Explorer but looks great in Safari. Do you have any suggestions to help fix this problem? What’s Taking place i’m new to this, I stumbled upon this I have found It absolutely helpful and it has aided me out loads. I am hoping to give a contribution & aid other users like its aided me. Good job. Hi there would you mind letting me know which web host you’re utilizing? I’ve loaded your blog in 3 completely different browsers and I must say this blog loads a lot faster then most. Can you suggest a good hosting provider at a reasonable price? Thanks, I appreciate it! I’d need to examine with you here. Which isn’t one thing I often do! I enjoy reading a post that may make folks think. Also, thanks for permitting me to remark! Thanks for another magnificent post. The place else could anybody get that type of information in such an ideal manner of writing? I have a presentation next week, and I am on the look for such information. This is really interesting, You are an overly skilled blogger. I’ve joined your rss feed and look ahead to seeking more of your magnificent post. Additionally, I’ve shared your site in my social networks! Hi there! I just want to give a huge thumbs up for the good info you will have here on this post. I can be coming again to your blog for more soon. 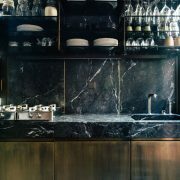 I have been exploring for a little for any high-quality articles or blog posts on this kind of area . Exploring in Yahoo I at last stumbled upon this website. Reading this info So i’m happy to convey that I’ve an incredibly good uncanny feeling I discovered just what I needed. I most certainly will make certain to don’t forget this web site and give it a look regularly. you’re in point of fact a excellent webmaster. The website loading pace is incredible. It seems that you’re doing any distinctive trick. Moreover, The contents are masterwork. you have done a fantastic task in this matter! Good day! I simply wish to give an enormous thumbs up for the nice data you could have right here on this post. I shall be coming back to your blog for extra soon. Throughout this awesome scheme of things you’ll receive a B+ with regard to hard work. Where you actually confused us ended up being in all the specifics. As it is said, details make or break the argument.. And it could not be more accurate in this article. Having said that, permit me reveal to you what exactly did deliver the results. Your text is certainly rather persuasive and this is possibly why I am taking an effort to opine. I do not really make it a regular habit of doing that. Secondly, whilst I can certainly see a jumps in logic you come up with, I am not necessarily convinced of just how you appear to unite the details which in turn help to make your conclusion. For the moment I will, no doubt yield to your point however hope in the future you link your dots better. I’m curious to find out what blog platform you happen to be working with? I’m experiencing some minor security problems with my latest website and I’d like to find something more safeguarded. Do you have any solutions? Great site. Plenty of helpful information here. I’m sending it to several buddies ans also sharing in delicious. And naturally, thank you on your sweat! Hiya, I am really glad I have found this info. Nowadays bloggers publish only about gossips and net and this is really irritating. A good blog with exciting content, this is what I need. Thanks for keeping this site, I’ll be visiting it. Do you do newsletters? Cant find it. We are a bunch of volunteers and starting a brand new scheme in our community. Your site provided us with helpful info to work on. You have performed a formidable task and our entire group might be grateful to you. Wow, incredible weblog structure! How long have you ever been running a blog for? you made running a blog glance easy. The entire glance of your website is fantastic, let alone the content!